You’re playing a cash game, seated in the small blind. The player UTG, who is wildly aggressive, playing every single hand, is constantly raising before the flop. It is a 5/10 cash game and your opponent raised to $40. You pick up AK suited and 3-bet to $125; they call the 3-bet. 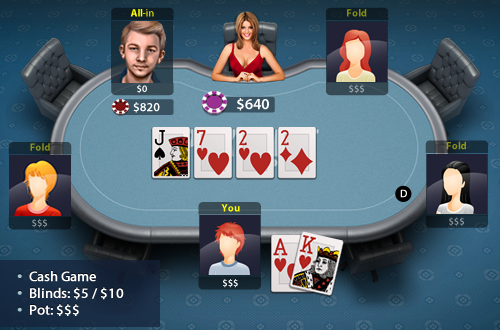 The flop is J72 and you have flopped a flush draw. You lead out for $160 and get called. The turn is a 2. You check and your opponent shoves all-in for $825.